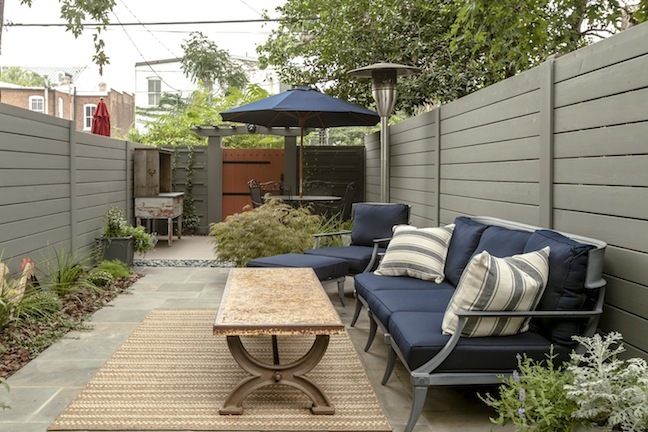 Get ready to relax in style and comfort in your own beautiful backyard retreat! 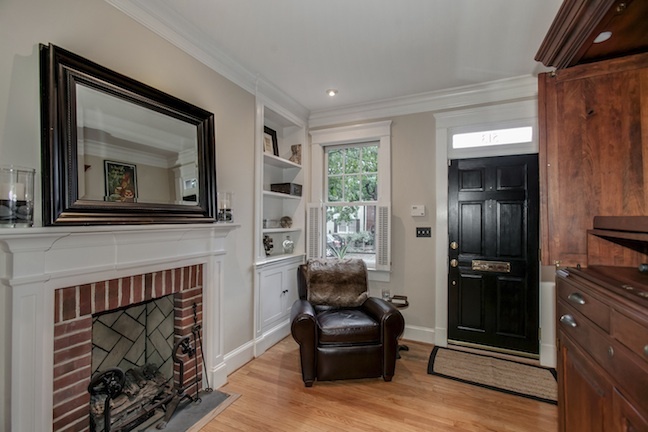 You’ll be amazed with the modern improvements that have made this home built in 1880 still have the charm you’re looking for when living in this historic city. Public open house Sunday, September 22nd, 1-4pm. Every time we go into this home, we feel like we’ve stepped into a Restoration Hardware catalog! So perfect!. Your own private backyard expands this home’s living space so you can entertain or lounge on the patio day or night. It includes amazing lighting and the hardwired Bose speaker system will stay behind for the new owner. 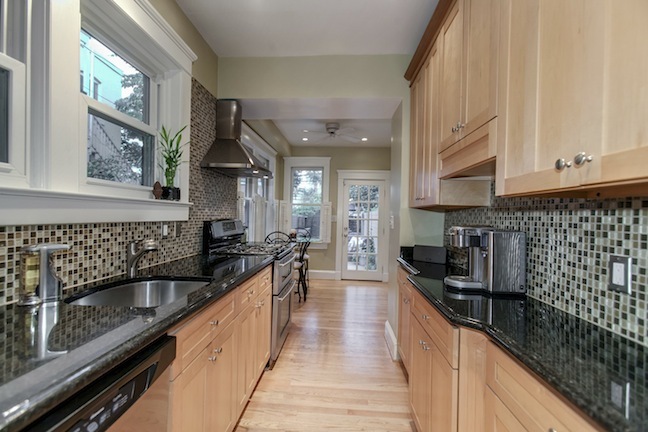 The gleaming galley kitchen has plenty of counter space and cabinet storage for chefs of all kinds. Updated with stainless steel appliances and granite counters, the kitchen is also the perfect spot for your morning coffee. Built-ins and the fireplace make the front room a cozy place for reading, Googling, or a glass of wine. The home’s main living space can be your favorite spot for watching TV or hanging out with friends. 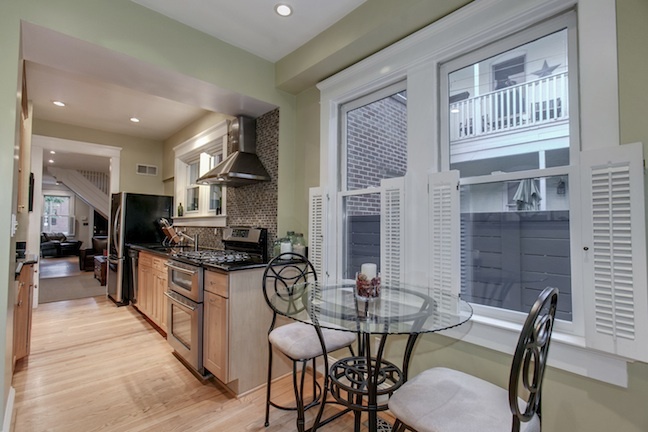 Or use the space for a more formal dining area for entertaining. 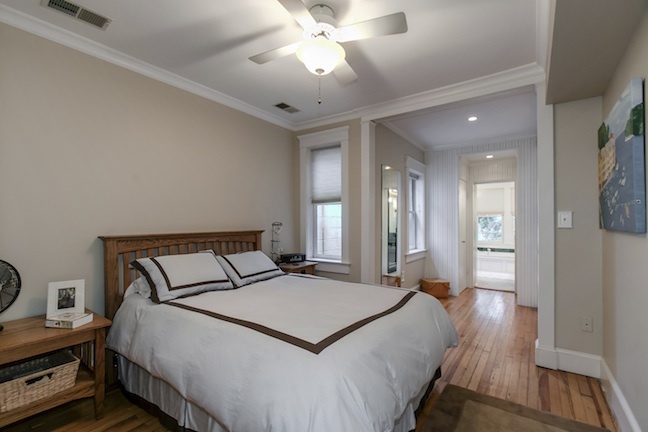 The light-filled master bedroom suite is spacious with plenty of storage and easy access to your own bathroom. 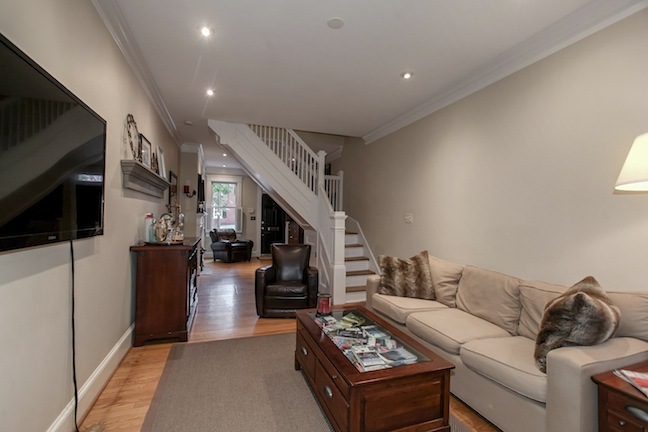 It features some of the home’s beautiful, original hardwood floors. 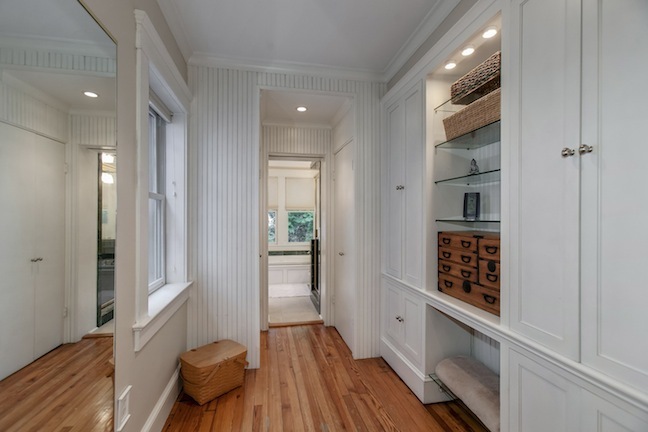 The master bedroom’s impressive dressing area with built-ins and closet space is both beautiful and functional for all of your needs. 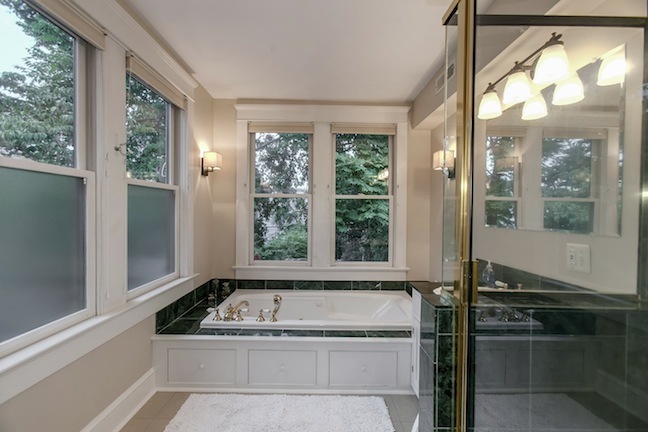 The updated master bathroom features a soaking tub, separate shower, and lots and lots of natural light. 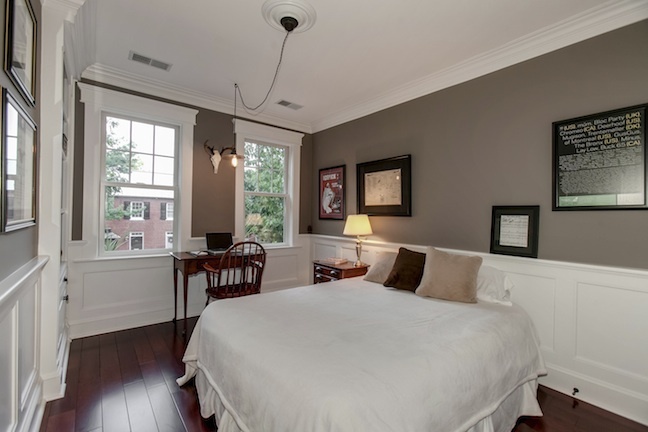 The second bedroom hasn’t been shortchanged at all – it features beautiful crown molding, wainscoting, new hardwood floors, and built-ins. 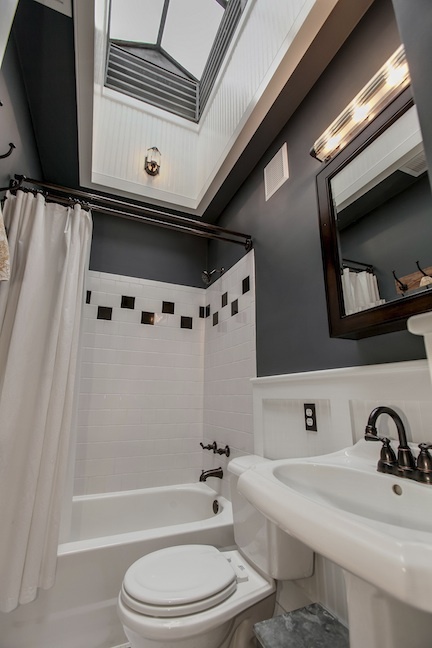 The renovated second bathroom brings some Old Town charm with bronze fixtures and a fabulous peeked skylight with bead board. 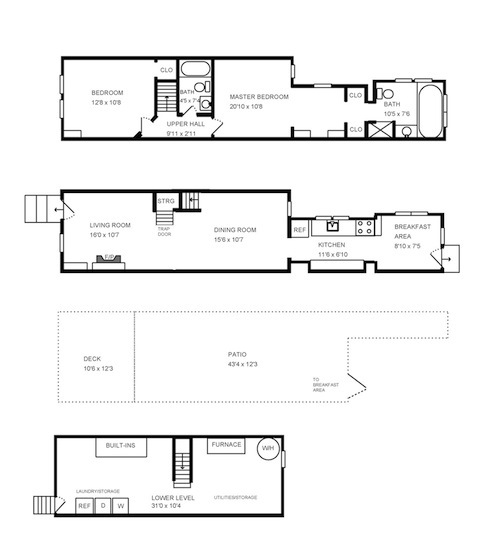 The fabulous lower level is perfect for all your storage needs! 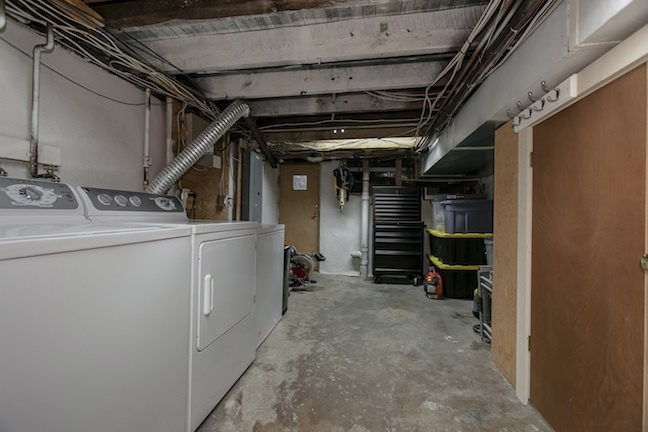 This is also where the utilities and laundry rooms are, so they are not taking up precious living space upstairs!